Did you know that in Bangkok, Thailand there is a building made in the form of a giant Robot?! 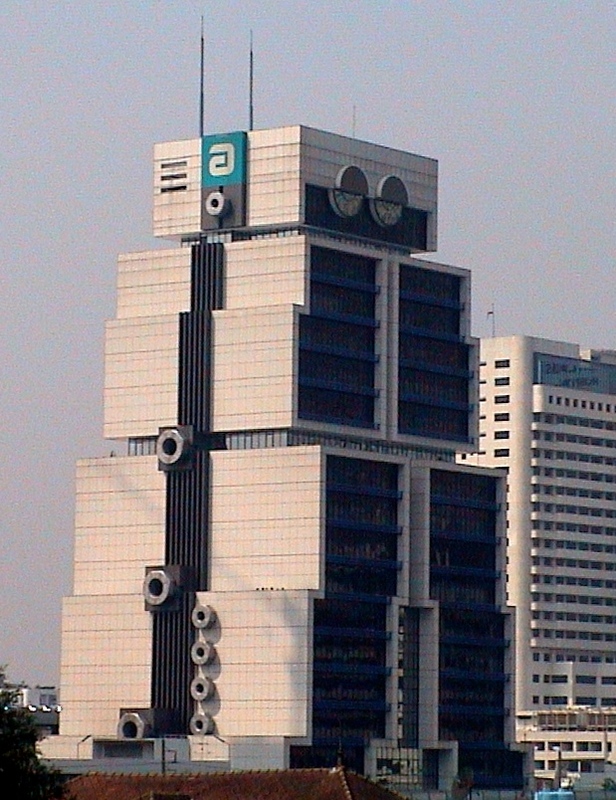 The Robot Building, located in the Sathorn business district was designed for the Bank of Asia by Sumet Jumsai to reflect the computerisation of banking. The building was completed in 1986 and is one of the last examples of modern architecture in Bangkok.